PHOTO: Team members: Max Altieri, Briggs Barribeau, Cole Caffall (not pictured), Jalen German, Patrick Gibrall, Keegan Hager, Nolan Harris, Nick Hayes, Conner Hedgepeth, Riley Lorenz, Dylan Meyer, Gabe Smith, Davis Waite, Keller Williams and Michael Williams. Coaches: Jack Horner, Bill Yates and Randy Womack. 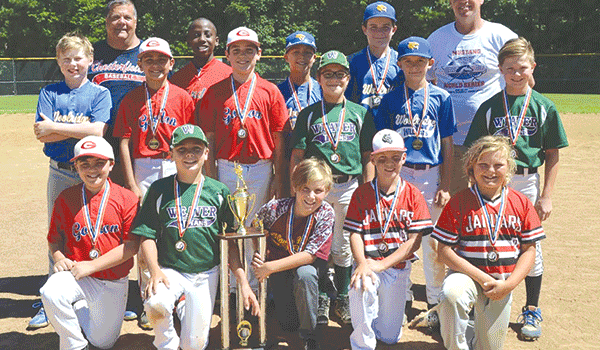 Since its inception in 2009, the Bronco-II World Series, hosted by Chesterfield Baseball Clubs, has provided area youth baseball enthusiasts a look at international baseball. 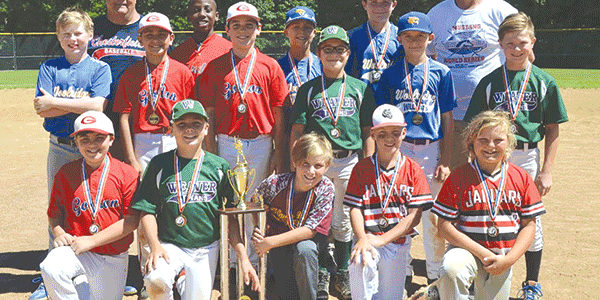 The tournament will take place July 27-30 at Harry P. Daniel Park. It has quickly become one of the more popular local sports events in the area, and the CBC Broncos will look to win it in 2018, bringing back the title to CBC for the first time since winning back-to-back tournaments in 2013 and 2014. Three teams are coming from foreign countries, including Beijing, China; Juarez, Mexico; and Curacao. Squads from Chicago, Tamiami, Fla., Wilmington, N.C. and Escondido, Calif. will also participate in the tournament this season. The tournament is not just a baseball event; it’s an event that allows participants to meet and interact with children from other countries. A custom has formed of players trading jerseys with players from abroad. Opening ceremonies start at 4:30 p.m. July 27, with the first round of games starting at 5:30 p.m.